Dirty icing gives fondant a smooth surface to hold onto the cake. 1 Can I Crumb Coat a Cake With Whipping Cream? 4 Do You Refrigerate a Cake After Dirty Icing and Before the Fondant? Dirty icing may sound unpleasant, but it is actually a time-saving method commonly used in cake decorating. The dirty ice, or crumb coat, prevents crumbs from getting stuck in the frosting of a cake and also helps the fondant adhere to the cake’s surface. The dirty icing method varies depending on how you intend to finish the cake. Before dirty icing a cake, determine the type of finish that you want and gather the right tools. No matter what type of crumb coat you apply, the tools are the same. Get a batch of premade buttercream that is spreadable and keep it at room temperature. Use a buttercream recipe that has a high-ratio shortening, rather than only butter. Keep a large piping bag and cake icing tip standing by. You will also need a cake spatula -- preferably one that is angled -- for easy application. Place the assembled cake on a turntable. Fill a pastry bag with an icing tip two-thirds full of buttercream. Align the icing tip so that it is vertical against the cake’s top side. Slowly squeeze a layer of buttercream on the surface as you turn the cake on the table. Repeat the process until you have covered the entire cake. Use a cake spatula to smooth the frosting over the sides and top of the cake. Scrape off any excess buttercream into a bowl. You should see some cake peeking out from behind the buttercream. 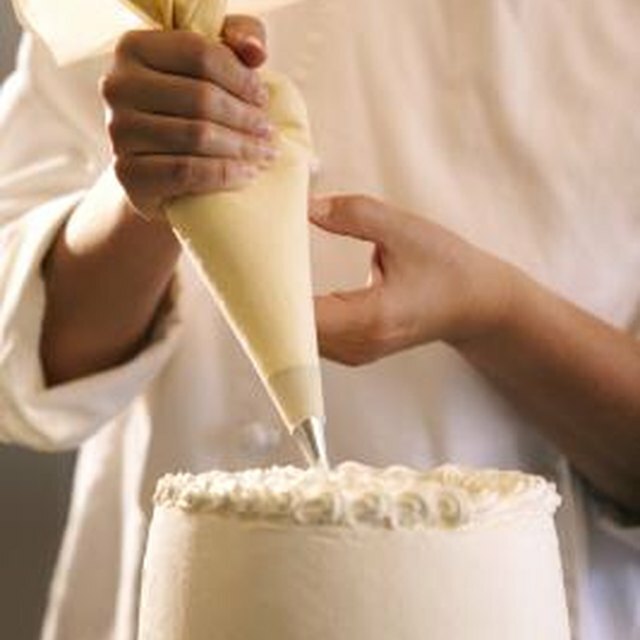 Fondant is a pliable, rollable sugar dough that you can smooth over a cake’s surface to give the cake a flawless look. It is often used in wedding cakes, but also with birthday cakes. Dirty icing for a fondant application should have a very thin layer of buttercream, which will prevent the fondant from sagging if the buttercream gets too warm. Fill in any cracks, gaps and other imperfections, using the buttercream as putty. Inspect the cake to make sure that each side is completely smooth before applying fondant. Otherwise, fondant will show imperfections on the cake. 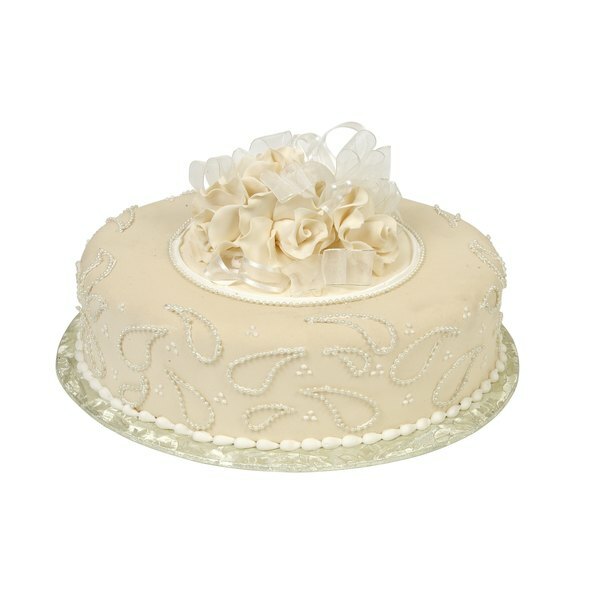 The buttercream finish uses a crumb coat to prevent crumbs from showing up on the final frosted surface. First, frost the assembled cake with a thin coating of buttercream. Don’t worry about crumbs, because this layer is meant to catch them. Discard any excess buttercream you scrape from the cake or spatula into a separate bowl from the batch of buttercream to prevent crumb contamination. Place the cake in the refrigerator for 10 to 15 minutes until the buttercream forms a hard crust before applying the remaining coat of frosting. Your finger should not leave an impression on the surface once the crust has formed. Why Is My Cake Dry & Crumbly?